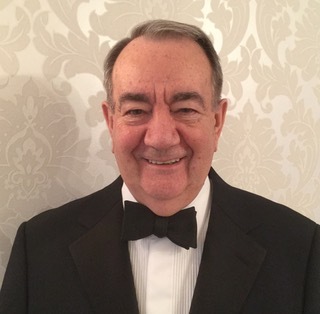 We are very pleased to announce that SASWE now has an Honorary Patron, Barrie Hingley. Wing Commander Barrie Hingley OBE BMus LRAM ARCM RAF (Ret’d) Barrie Hingley was educated at Drax Grammar School and started his musical interest in the Salvation Army Band in Selby, Yorkshire. He joined Royal Air Force Music Services in 1956, spending a year in the RAF School of Music, and later gained conducting diplomas at The Royal Academy of Music and The Royal College of Music followed by a Bachelor of Music Honours Degree at London University. After serving with several Royal Air Force Bands at home and abroad he was commissioned in 1967 and became Director of Music of the Band of Royal Air Force Germany and then the Midland Band of the RAF. His service was recognised In 1971 by the award of the MBE. Later appointments included Director of Music of the RAF School of Music for eleven years, and Director of Music of the Central Band and Headquarters Music Services. His promotion to the post of Principal Director of Music RAF in February 1989 made him the tenth in a line of distinguished musicians who have been at the head of RAF music. As Principal Director of Music he conducted hundreds of concerts, parades, recordings and broadcasts in the UK and many of his arrangements and compositions have been recorded by RAF Bands. He conducted the RAF Central Band on tours of France, Hong Kong, Canada and on two major tours of the USA. He became Senior Director of Music of the three Services and had musical responsibility for many National events. The tribute to HM Queen Elizabeth the Queen Mother in celebration of her 90th birthday held on Horse Guards Parade in June 1990 involved the co-ordination of many bands and choirs, conducting over 1000 musicians and writing much of the music. He was awarded the OBE in the 1995 New Year’s Honours List just prior to his retirement. After leaving the RAF he has continued to compose and arrange music. His music is constantly played in TV and Radio programmes throughout the world. Commissions have been completed for HM The Queen’s Annual Christmas television broadcasts, including a new version of the National Anthem recorded by the Choristers of Westminster Abbey; the Sultan of Oman’s 25th Anniversary Celebrations, the Centenary Celebrations in Saudi Arabia, the 50th Anniversary of VE Day performed by a large Symphony Orchestra and 1000 voice choir, and music for BBC TV broadcasts and tribute events on Horse Guards Parade with massed service bands, choirs and orchestras. The National Youth Ballet commissioned him to write a ‘Nativity’ Ballet which has been performed at the Royal Albert Hall, on BBC TV and Sadler’s Wells. His music has been used for many films, documentaries and TV programmes, the Royal Tournament, the Festival of Remembrance, and the Edinburgh Tattoo. He was appointed Director of Music for the Queen’s Golden Wedding Pageant, a celebration with over 1,000 horses in Windsor Great Park, with musical forces included the Massed Bands of the Guards Division, a large Symphony Orchestra, Six Fanfare Teams, Massed Mounted Bands and the 300-piece Bach Choir under Sir David Willcocks. Unfortunately, with rehearsals completed and CD’s recorded and ready, the event had to be cancelled because of extreme weather conditions! Other commissions have included writing the music for the Queen Mother’s 100th Birthday Celebrations, including Her Birthday Song, and music for the huge musical forces in the Mall and forecourt of Buckingham Palace for HM The Queen’s Golden Jubilee celebrations for which he was director of music. His Jubilee Anthem for that event was recorded by the Choir of St. Paul’s Cathedral and the Royal Philharmonic orchestra as an official tribute. In retirement, Barrie Hingley’s interest and support for the Salvation Army in his early years still continues in Hillingdon, West London. 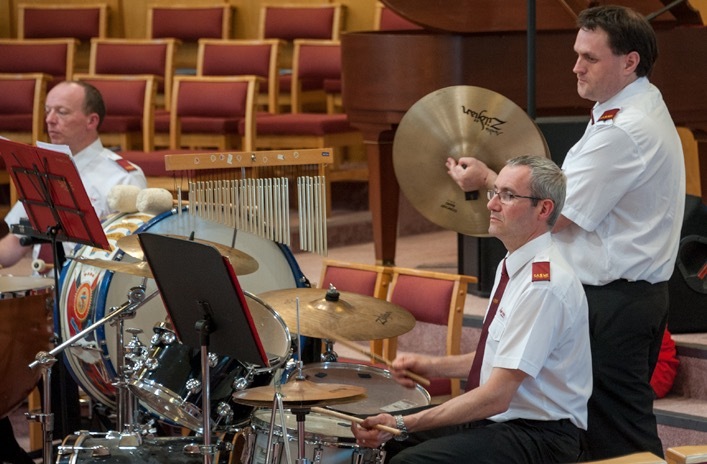 He is also the President of the Royal Air Force Music Services Association. 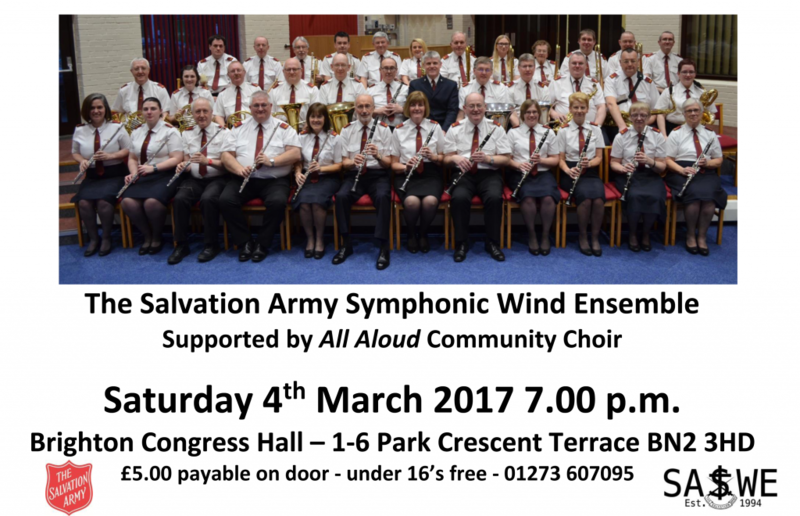 SASWE will be doing a festival music at Brighton Salvation Army on Saturday 4th March 2017. We’d love to see you there! I first met Maisie when we were both visiting Instrumental Teachers at a school in Harrow. The Head Teacher was Muriel Yendell and the Music Teacher was Des Vinall. I distinctly remember playing in a Concert alongside Maisie in a Staff ‘Dixieland Band’. Always keen to try something ‘new’ Maisie duly arrived at the inaugural rehearsal for SASWE at Ilford Salvation Army Hall in October 1994. She was indeed a founder member of this group and at her last SASWE performance was given a great personal ovation by the audience in Birmingham Symphony Hall. Alison Riddell joined SASWE in 2016, and it was of great interest for me to learn that she was a friend of Sally Stafford, with whom I had worked in Music Education in Buckinghamshire. I then went on to learn that both Sally and Alison had been fellow teenage oboists in Harrow Students’ Concert Band with Maisie! 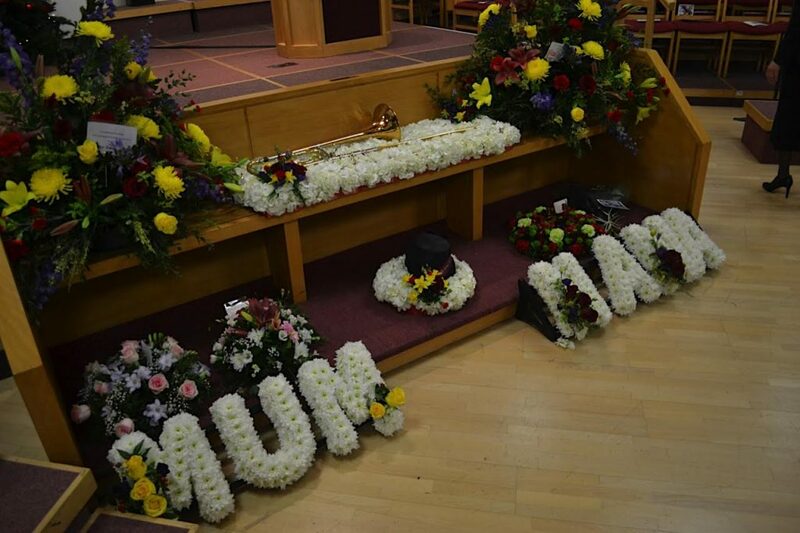 As you will read in the tributes, Maisie was indeed a great role model for two young aspiring musicians. 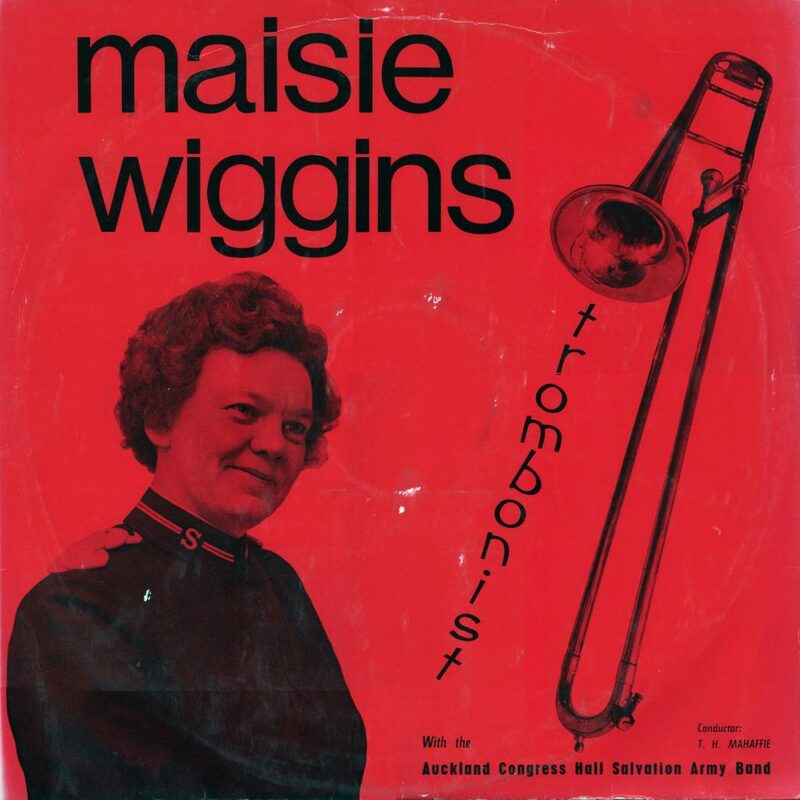 My first memory of Maisie Ringham was when I joined the Saturday morning Music School in the London Borough of Harrow at the age of 13 or 14. I had just started playing the oboe and remember hearing the Harrow Students’ Concert Band rehearsing. In those days all the young people had to be under the age of 18 and the professional sound of the group was such that many of us used to go and listen to them rehearsing in our spare time when we were not involved in our own rehearsals. 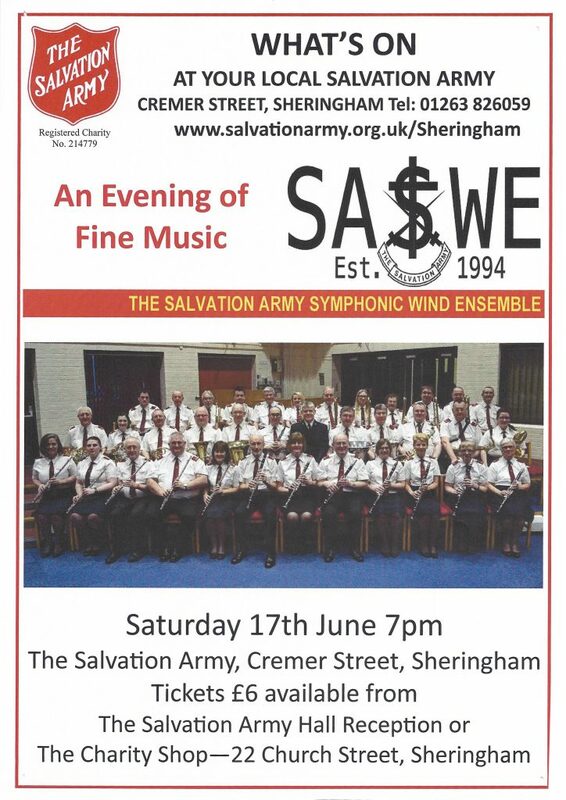 I longed to be good enough to be part of this group, and occasionally would be asked to play during a rehearsal if they were short of an oboist – such an honour! The piece of music I seemed to remember being played most frequently was Finlandia, but I also remember frequently hearing, and later playing, Plymouth Hoe and Mancini Magic. Eventually I achieved the standard I needed, to be accepted into the Harrow Students’ Concert Band as an oboist. What a wealth of musical experiences and opportunities then began! Although the significance of it at that time didn’t really register with me as a young teenager, my mother, who like Maisie had also been a student at the Royal Manchester College of Music (RMCM), about 4 years behind Maisie, told me that Maisie had been awarded the Candlin Wind Scholarship and had achieved the rare feat of being appointed principal trombonist of the Halle Orchestra, conducted by Sir John Barbirolli, which was virtually unheard of in those days for a woman, especially one still in her early twenties. As well as conducting the Concert Band at the Harrow Young Musicians on a Saturday morning, Maisie was a member of staff at the Harrow Youth Orchestra which rehearsed on a Friday evening. There was a rivalry between the two organisations, but many of us would often deputise for each other in various orchestras, and it was a friendly rivalry which drove the already high standard even higher, and we would often go to each other’s concerts. Through Maisie, and her peripatetic teaching in various schools, I was offered my first opportunity to play ‘professionally’ in a ‘theatre pit’ for a school production of a musical. This led to other performing opportunities for many of us, mainly in schools, churches, with local operatic societies and with local orchestras – and our musical lives had begun. Music was our lives, and became our social lives as well. We had a wonderful time, all thanks to Maisie! Now in my mid-fifties, the first word that springs to mind when I think about Maisie is “inspirational”. She has inspired so many people in so many ways. Maisie seemed to have endless energy and was always so encouraging. If anyone came up with an idea, she never thought it was a bad idea and seemed to find a way to try all of them, making us all feel important and valued. I don’t know how she fitted all her activities into her diary, or how she managed to find time for her family and be such a proactive member of the Salvation Army. She always spoke fondly of her husband and children, and they were clearly a very close family and family values were very important to her. Maisie seemed to have endless energy and enthusiasm. I remember during one rehearsal Maisie told us that she had been up until 2.30 – 3 o’clock in the morning the previous night, preparing the music and putting it into the pads herself. Maisie offered opportunities to so many young musicians in Harrow. She taught us how to be professional both on and off the stage. If we did anything, we did it properly. She introduced us to a huge repertoire of very varied music and gave us the opportunity to play with musicians of the highest calibre that we would never had had if it hadn’t been for her connections with the top musicians who held her in the highest esteem, one of whom was Don Lusher. We made a record, which was virtually unheard of in those days, especially for a band of amateur musicians whose members were mainly teenagers. We fund-raised for this by selling cakes on a Saturday morning during the break. My mother became famous for making a batch of about 60 home-made glazed currant buns every Friday night so that we could sell them to raise money. Maisie encouraged us to find other ways to raise money, and I remember booking a date at St Mary’s Church, Kenton, to perform a concert to raise money so that we could make the record. We performed a series of concerts until we had raised enough money, and in 1978 we recorded an LP with Rosehill Records. Each one of us had our name on the back of the record sleeve, we felt so special, and all the tutors and music school staff were named as well. She always acknowledged and thanked everyone involved in her achievements. Maisie took us to play in Leeds, where we twinned with musicians in Sheffield from a similarly set-up Saturday Music School. We went to Harrogate to the International Festival of Marching Bands, and because we would have to march she brought in someone to teach us how to march properly. Maisie invited me to play as a soloist in a concert. This was the first time where I realised, with her support, that the audience were on my side and not something to be feared. She gave me courage and self-belief, and did the same for other young musicians, many of whom went on to become professional musicians. I later went on to study at the Guildhall School of Music, and so many of us went on to other music colleges, inspired by Maisie lighting a flame inside each one of us to love music and give the best performance of it that we possibly could. 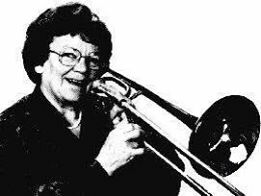 She was an inspiration to us all, a wonderful trombonist and musician whose playing had that magic that ‘made you listen’, an amazing teacher, a remarkable lady, a true friend to us all and dignified at all times. She made each and every one of us feel valued and I will never forget her. I cherish every memory I have of her. May she rest in peace and be remembered in our hearts forever. 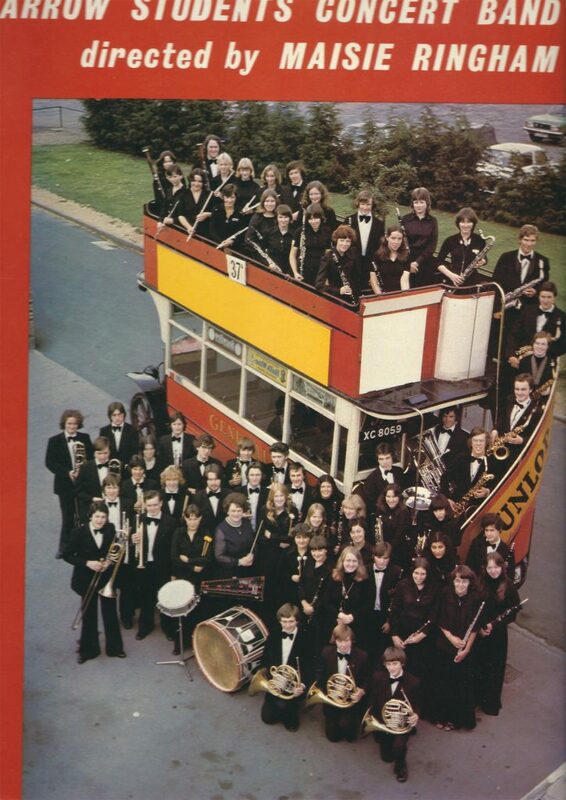 Maisie Ringham conducted the Harrow Students Concert Band for decades and was a real tour de force: she often sported a white painted drum stick to direct the band and when the ensemble wasn’t quite together she used it to smash out the tactus on her stand. On one occasion, splinters of wood flew into the air. After registering a little surprise, Maisie simply said, “Time for a new baton”. Maisie was tremendously musical and brought out the best in every ensemble she conducted. She showed us all the way by her example: quiet, precise but unfussy organisation; empathy and support for anyone in need; phenomenal concentration and attention to detail in getting the music right; total dedication and commitment. There are only a few “movers and shakers” in this world, and Maisie was certainly one of those to me. She came to our wedding with her husband Ray, and showed much pleasure in the band, smiling and encouraging the young musicians who knew me through my teaching and conducting. They are nearly all professional players and teachers now: Maisie’s baton will be passed on for generations to come. Maisie was also there in our sadness. She came to my father’s funeral and visited my mother especially on Christmas Eve. I will never forget this kindness but it was only to be expected. Maisie believed as she lived, and lived as she believed. 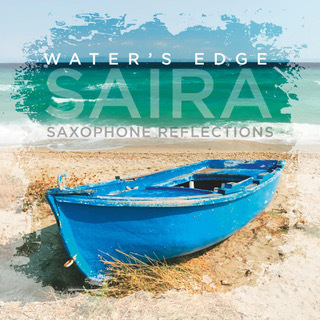 SASWE saxophonist Saira Clegg has released a recording called Water’s Edge – Saxophone Reflections. The CD includes a number of lively as well as more reflective pieces for saxophone and we think it is well worth a listen! Members of SASWE were honoured to be a part of the celebration of Maisie Wiggins’ life. She would have certainly enjoyed the occasion. 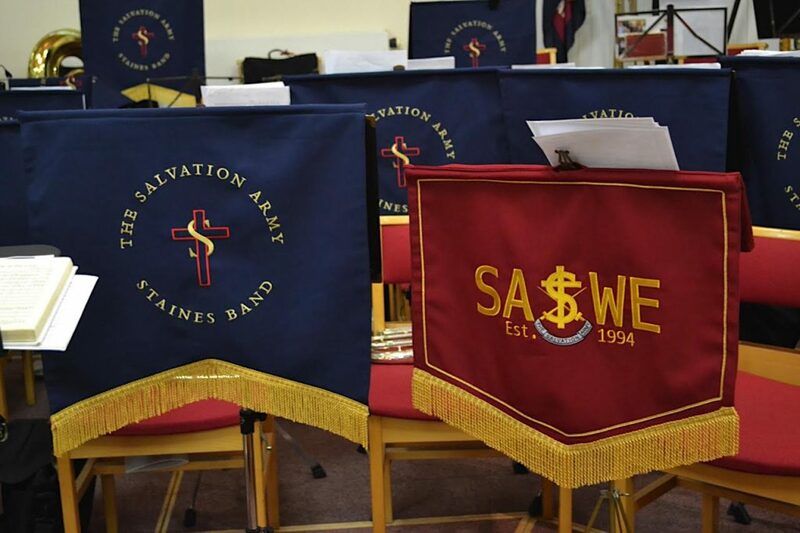 SASWE members who were able to travel to Staines joined with Staines Salvation Army Band to play In Quiet Pastures, The Lord is Gracious and Be Still. The evening celebration was a fitting tribute. SASWE members send condolences to the family of the legendary trombonist Maisie Wiggins. Our trombone section will not be the same without our Duchess and friend. She will be sorely missed, for her teaching, for her Christianity, for her trombone playing, for her musicianship, and for her grace. 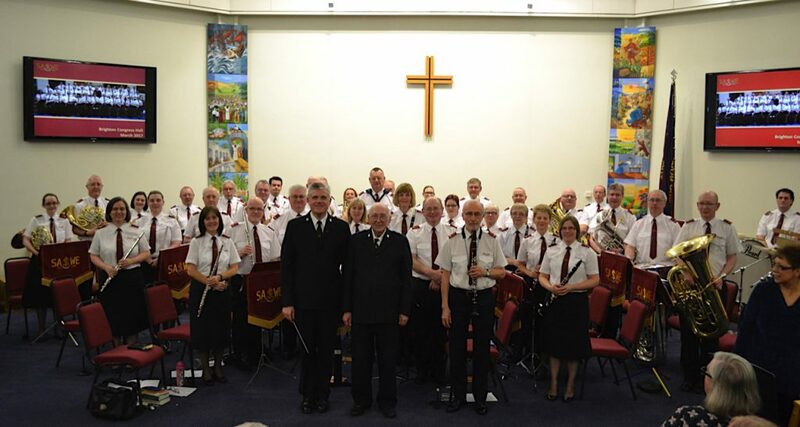 Some of our members will be joining with Staines Salvation Army Band at the Celebration Service on Friday 16th December to pay tribute to our friend. If you would like to join us to remember Maisie, it starts at 7.00pm at Staines Salvation Army Corps, Woodthorpe Road, Ashford, Middlesex. 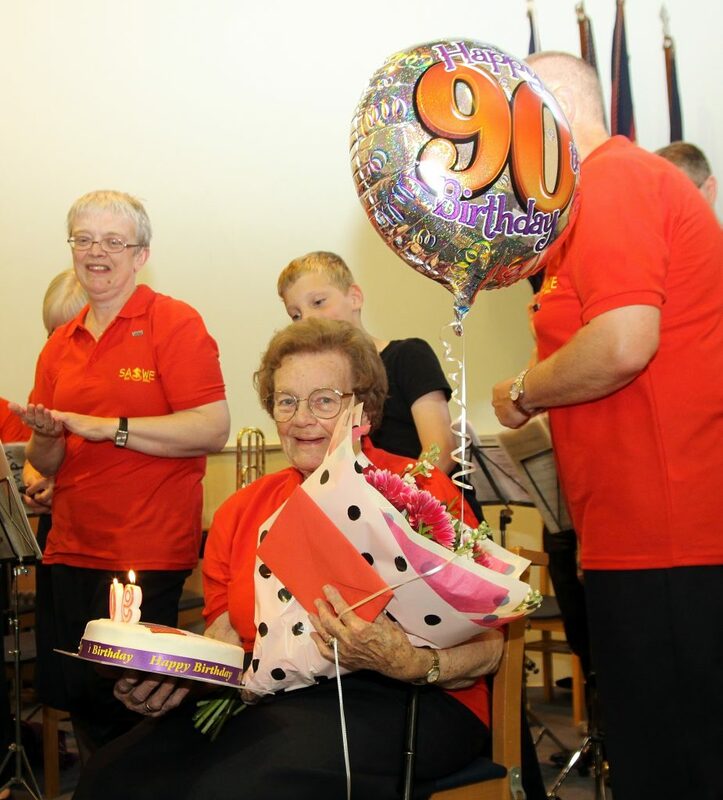 Here is Maisie at her 90th birthday celebration a couple of years ago with fellow SASWE members. 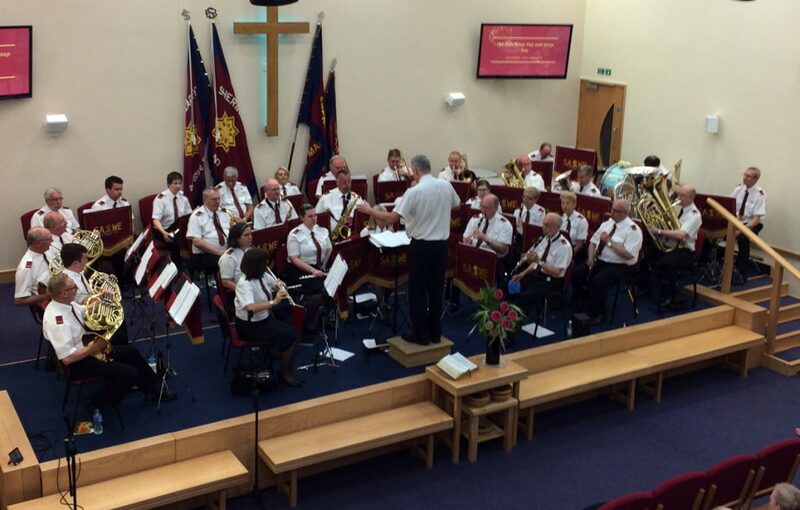 Here are some photographs taken at our recent festival in Sale.